You can do all kinds of cool tricks, play with your Stark Industries upgraded web shooters, playing around with different web types as you work your way through some target trials while flinging yourself through the air. Very soon the time comes when you can square off against The Vulture. The VR experience will be available for free across all major VR platforms, including PlayStation VR, Oculus Rift and HTC Vive on June 30. One company that we have to thank for this awesome experience is CreateVR. This is a name that you might want to remember as we will undoubtedly hear from them again. Entertainment has began leaping off the screen with all the various components available from film, to music, to merchandising and larger than life VR experiences. Don’t have a VR headset? No worries. 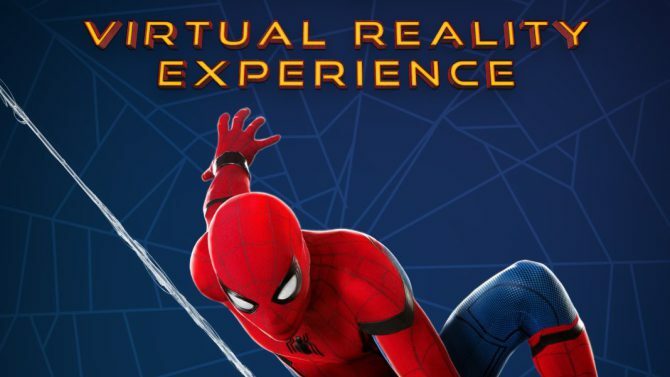 Starting this weekend, Sony will show the experience at select movie theaters and events worldwide, including select Cinemark theaters in the U.S. Don’t miss this first-person look inside the world of being your friendly neighborhood Spider-Man. This entry was posted on Friday, June 16th, 2017 at 1:43 pm	and is filed under Comics, Film, News. You can follow any responses to this entry through the RSS 2.0 feed. You can skip to the end and leave a response. Pinging is currently not allowed. « Media-Ocrity #43 – Raiders of the Lost Ark and the Star Wars Prequels!